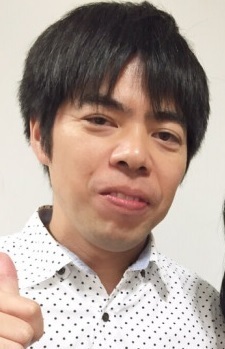 Yasuhiro Takemoto has worked at Kyoto Animation for almost his entire animation career, joining the company in 1996. Nurse Witch Komugi-chan Magikarte was his directorial debut, and Full Metal Panic? Fumoffu his first solo directorial debut. Overreactions from the two comments before me. KyoAni will never go under and no one is wasting his potential as a director other than his own choice to keep working there. Anyway, his skill as a director is quite noteworthy and worthy of praise. It boggles my mind why this man was not in charge of directing Violet Evergarden and also in charge of the entire storyboard for it. When he directed Hyoukai which is arguably one of the most interesting LN anime adaptations in history of anime. The LN never explains much in how a camera is positioned the director and storyboard artist has to think up that themselves, but he did it, he made Hyouka what it is why he was thrown to the sideline in Violet Evergarden is beyond me, again KyoAni has pulled another Clannad After Story political nonsense crap in the production. If this continues KyoAni is gonna go under. Easily the best Kyoani director, he should have directed Violet. His episode (#09) is the only one that felt actually competently put together, but he had no real chance to save the show at that point. Actually, I'd like to see him working in an original show outside of Kyoani, I think that their style is seriously killing his potential as a director (and the "great" FMP: Second Raid proves that). Definitely not KyoAni's best director (reading the comments on this page, I can't not argue against it). His skill as a director isn't anything special, but that isn't to say he's a bad director, just not on par with the great (not "greats", "great") of Kyoto Animation.